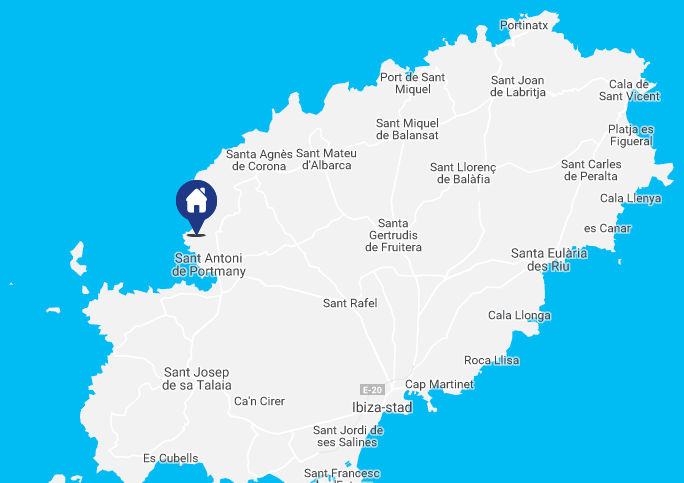 Holiday House Casa Cala Gracio with sea views and saltwater pool is perfect for families and can sleep up to 6 people. The house has two floors. On the ground floor there is a double bedroom with en suite bathroom with toilet, shower. The open living–dining area with kitchen invites you to linger. The upper part of the house with the associated roof terrace can be reached via two external staircases. On the 1st floor there are two double bedrooms, each with an en suite bathroom, with toilet and shower. The rooftop terrace offers panoramic sea views and sunset. All bedrooms and the living area are air conditioned and heated.